Again, World Backup is March 31st. As we live an increasingly digital life, the need for regular data backups has never been more necessary. World Backup Day is proud to announce its giveaway and official sponsors for 2012. Last year, people generated over 1.8 zettabytes of data. That's nearly 57 billion iPads! As we live an increasingly digital life, the need for regular data backups has never been more necessary. 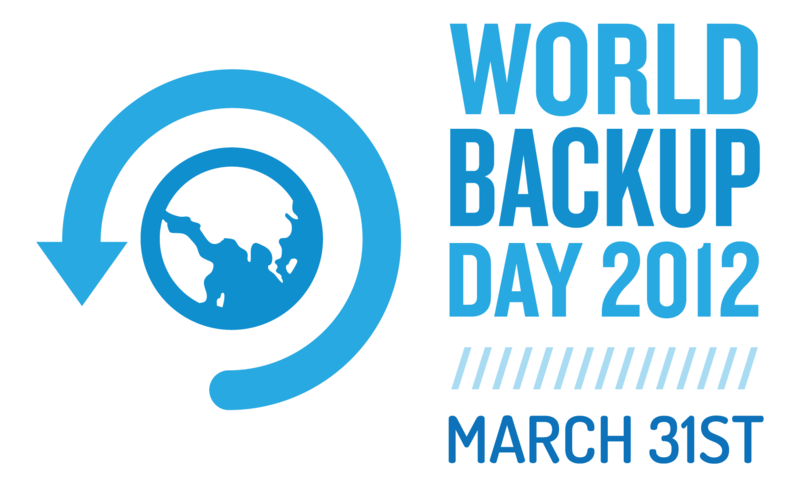 March 31st has been declared World Backup Day to raise awareness about backing up our data regularly. With operations in the Americas, Europe and Asia, LaCie is the leading manufacturer of storage devices for PC, Apple, and Linux. LaCie has differentiated itself through sleek design and remarkable technical performance. Visit us at http://www.lacie.com. World Backup Day was chosen to be the day before April 1st (April Fools) in order to drive the message that one should backup all those pictures, spreadsheets, love letters, cat pictures, and important financial documents before it's too late. World Backup Day is an independent initiative that began its inaugural celebration in 2011 by—as most good things on the internet—a few concerned users on reddit.com. It was a hit in the tech industry with virtually all tech news sources reporting on it. For 2012, World Backup Day has partnered with many media partners to promote the importance of data backups.